If you work on or manage a school premises, Thornhill Security offers a range of products to help protect your educational facility from internal and external theft; as well as keeping students, staff and their possessions safe. The security of any premises like this is very important due to the large numbers of pupils and teachers who are there every day. Additionally, large volumes of expensive equipment such as computers are always kept on school premises. As we highlighted previously in our master key systems blog, these systems can be a viable option for educational premises due to the ease of use when working with several locks. Not only are they very secure against external break ins, but restricting the level of access pupils and visitors have to certain areas, means you can combat any internal theft that might be occurring. 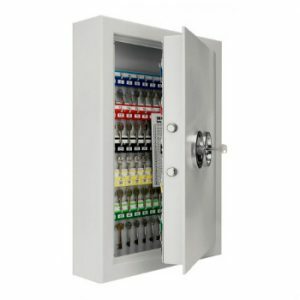 A key cabinet increases security and staff accountability by allowing keys to be signed in and out; some of our larger (deeper) key safes are designed to accommodate bunches of keys, which would be suitable for a janitor or head teacher who had several keys. 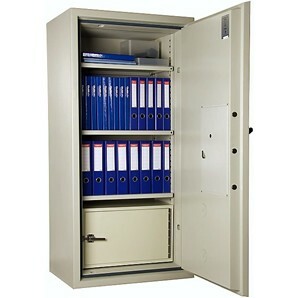 Security cabinets are an essential to maintain a high level of security in buildings with numerous rooms. 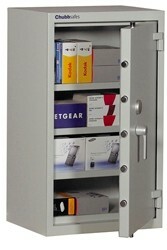 Key Cabinets or key safes come in various sizes with the capacity to hold over 200 keys. Sensitive documents such as staff and student information are kept on school premises, multi-purpose security cabinets are an ideal solution to guard against unauthorised access to documents, or any other valuables. The dimensions of our range start at 1000mm in height, allowing the safe to sit comfortably in the corner of a room with minimal disruption. protection against fire for up to 120 minutes; meaning there is a better chance the documents will be retrieved. Not only this but with high cash ratings they can also protect against thieves. Metal detectors aren’t often seen in schools, however, in recent years, there has been a surge in their use at schools to ensure staff and student safety. 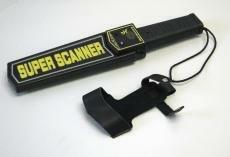 Equipping a member of staff with a metal detector allows them to detect any kind of metal illicit item that a student might be carrying. In schools, some buildings may be left unprotected at night, such as outdoor sports facilities like pavilions – padlocks are classic simple and effective deterrents of theft, vandalism and unauthorised entry. 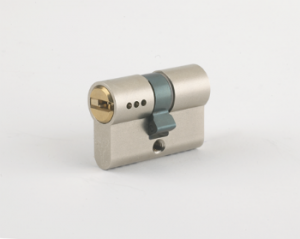 They are cost effective, easy to use and quick to install, our sophisticated padlocks offer maximum security and multiple design features for peace of mind. Security grilles are an excellent extra layer of security in school buildings, standard doors and windows alone don’t offer adequate protection to prevent intruders. Security grilles are commonplace in many commercial premises, as they are extremely robust whilst also versatile and aesthetically pleasing. They can be incorporated onto any window or door, both internal and external. Our range of Convex mirrors can be used in a multitude of situations, exterior safety mirrors can be placed on tight bends or concealed entrances to avoid collisions with students or other cars, this can be effectively utilised in a school car park. They can also be used as a powerful deterrent against crime in areas surveillance is poor; our anti-vandalism mirrors have robust fitting to repel attack. For any information or advice on any aspect of school security products give our friendly and experienced team a call on 0117 967 4994.